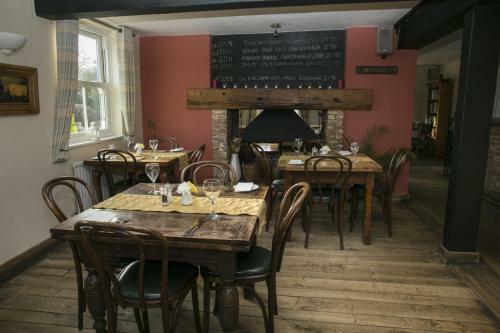 Our restaurant is open Monday to Saturday for dinner and for lunch on Saturday and Sundays and offers excellent home cooked food using many local suppliers. Our menus change on a regular basis and we offer daily specials. We serve food in our large garden area during the Summer months and allow dogs in the garden and bar areas. The Inn is child friendly and is ideal in the Summer months with our garden being completely safe and away from traffic with ample space for little ones to play games and run around. Our bar is a traditional, friendly pub where locals and hotel guests mix. We pride ourselves on serving excellent beer with 3 hand pulled real ales always on offer. We are a member of CAMRA and our ales are locally sourced from local breweries - Rebellion IPA, Chiltern Brewery's Beechwood Bitter;Loose Cannon's Detonator;and XT brewery are all within 10 miles of The Inn, and regularly used. National 'favourites' such as Timothy Taylor's Landlord and Shepherd and Neame's Spitfire have also been recently stocked. To reserve a table please call:01844 351367. Parties and other functions also catered for, please call for details.